At The Family Pet Hospital Laser and Wellness Center, most blood tests for cats are processed and sent to Antech laboratories to be analyzed, although some are also analyzed on premises at our in-house laboratory. Having an on-site laboratory allows us to quickly and reliably determine and diagnose a health concern, and then implement a successful medical intervention based on the results. Blood Serum Chemistry: We analyze cat bloodwork to evaluate organ function, electrolyte status, hormone levels and more. 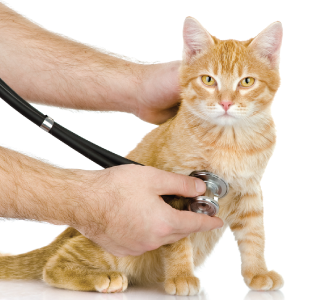 These tests are important to evaluating the health of older cats, cats with signs of vomiting, diarrhea or toxin exposure, as well as cats receiving long-term medications and general health before anesthesia. The Vetcomp is a mini chemistry, which will tell us what may be ailing your cate while still at the hospital so we may institute treatment right away while waiting for the more comprehensive results.